AB testing is when you create two versions (version A and version B) of a call to action, landing page, email, web page, or other marketing asset. You put them each before an audience segment, and see which works better to attract visitors’ attention and engage them. Open rate and click rate are metrics frequently used to determine which version is more effective. Lindsay Kolowich of HubSpot wrote this useful breakdown on AB testing and what you need to make it work. In marketing, data is used to take the guesswork and subjectivity out of the process and get maximum ROI. AB testing in particular lets us test the hypotheses we have about our marketing materials. We use AB testing to "learn what resonates best with target audiences," as Scott Brinker puts it in his book Hacking Marketing. "When we make hypotheses, we can release incremental experiments to see what works, and we don't let our ideas stay isolated too long from the clarifying light of empirical evidence." AB testing does require time and training. But used correctly, it will multiply the effectiveness of your emails, advertisements, CTAs, and other marketing materials enormously. In terms of ROI, it's better to do one thing that you know is going to get results rather than four or five which are just shots in the dark. When Should You AB Test? 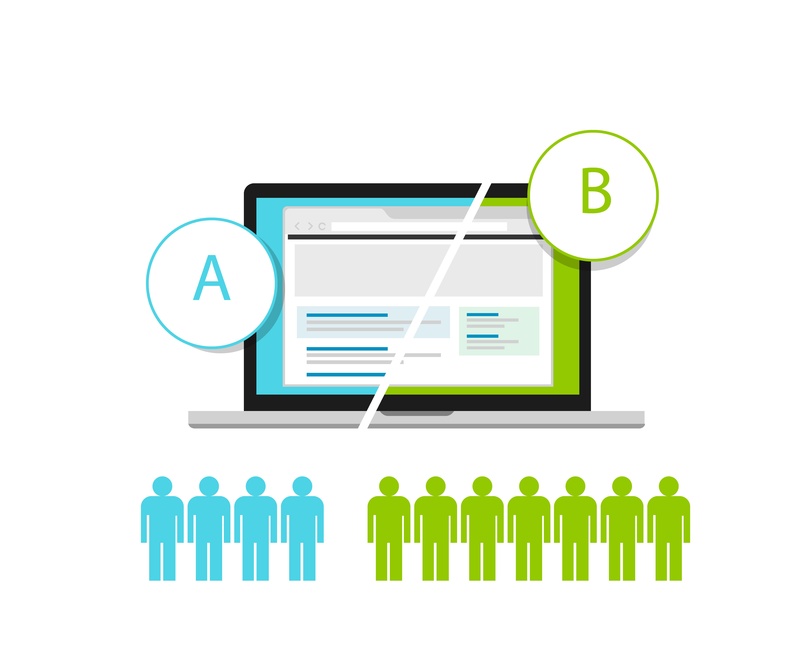 DON'T do AB testing to make basic marketing decisions about your campaign or your strategy. DO do AB testing to fine-tune your marketing materials and to make decisions in cases where you truly can't know what's going to work without trying it. When you're planning a campaign or creating a specific CTA or email, start with a solid inbound marketing methodology. 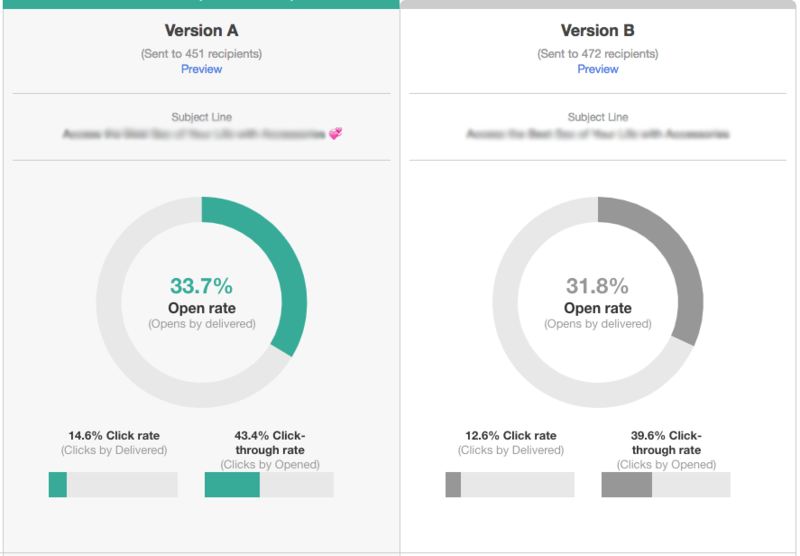 From there, use testing to turn what would be subjective decisions (Which subject line is best? Is this type too small? Which image should I use?) into objective ones. Below are the results of an AB test that we did for a client using HubSpot. In this case, the change was as small as adding an emoji to the subject line. There was a clear winner. We were able to send this marketing email with the full confidence that we'd maximized the client's marketing investment. Decide what metric is going to determine which version is more successful. For web pages and CTAs, you're most likely looking for clicks. But with emails, you could be testing either open rate or click rate. Create your CTA, email, web page, or other asset. Appearance: Font, color, size, specific image, placement of image, etc. Wording: Different verb in CTA, different text in subject line, etc. Keeping changes confined to one aspect or one item allows you to easily determine what ultimately influenced the viewer to open or click. Direct half of the viewers / recipients to design A and the other half to design B. Marketing automation tools such as HubSpot automate this, selecting the right test lists for you and avoiding critical errors that can void your results. Look at the metric you selected above. Which version performed better? Publish or send the version that was more successful. AB testing is a great tool for internet marketers looking for ways to improve their conversion rates. Conversion rate optimization helps visitors move in the direction of building more permanent relationships with your company or organization. Something as simple as slightly altering your CTA button or landing page can lead to a noticeable different in clicks and conversion.